ARUNRAJA KAMARAJ TURNS DIRECTOR - EXCLUSIVE DETAILS HERE! 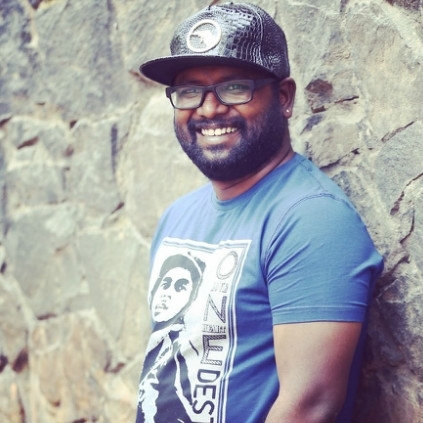 Lyricist turned singer Arunraja Kamaraj, who is known for his trademark voice and chartbuster songs like, Neruppu Da, Varlaam Varlaam Va, is now a director! Yes, Arunraja has decided to don the directorial hat for the first time and the film will be about women's cricket. Direction was always his passion, and he has indeed worked as an assistant director in Vettai Mannan. Talking to us exclusively, about the project, Arunraja says, "I had first written a script titled, 'En Pondatti Oorukku Poitta', but, it didn't materialize for a few reasons. Then, I was randomly thinking about cricket and that is when the idea of doing a film on women's cricket struck me. We haven't seen any Indian film on women's cricket and I wanted to touch that line through my debut film. This film will also talk about women's perspective on the sport and life, in general. After finishing the script, I narrated it to few of my friends, who loved it. Then, I decided this to be my debut directorial film. The film will be funded by myself and a collective set of friends of mine. We will start the film once we decide on the cast and the technical crew. We are looking out for fresh faces. Women, who have interest in both, cricket and acting, can apply for the lead roles. We would keep an audition and fix the leads. You can send your profiles to iswearicanact@gmail.com"
Arunraja's best friend Sivakarthikeyan took to Twitter to congratulate the Neruppu Da man for his debut directorial. He posted, "Vazhthukkal da @Arunrajakamaraj 👍😊happy tat u hv chosen a tough genre..work really hard,make it a memorable film for many"
Best wishes Arunraja for the project to come out well! Official word from Mersal team on the teaser release! People looking for online information on Arunraja Kamaraj will find this news story useful.